Richard and Robo can do nothing but watch as they are hurled through time and space through the worm hole, their journey lasting seemingly for an eternity. Then, without warning, their journey ends and they find themselves floating on the cruiser in an inky blackness. Richard hears Robo's motors humming and notices he is encased inside a thin bubble. Robo immediately informs the Chosen One that he is generating a temporary force field to protect him against the vacuum. Unable to believe that he is in a vacuum, Richard asks Robo where they are, but the robot cannot determine their current position. So Richard can only use his eyes, and he soon discovers that they are hovering over the surface of a small planetary body, with a larger planet nearby. Indeed, a few moments later Richard sees a massive planet emerge from the distant horizon. Just then, Richard notices something unusual in the distance and points out to Robo that there are pyramids in the distance. As he excitedly points this out, the inky sky above them begins to change, soon transforming into a white glow until large streaks of lightning split the sky. Robo warns that an electrical storm is approaching and that they must seek shelter. Richard quickly charts a course toward the pyramids, arriving there fairly quickly thanks to the lack of air resistance. 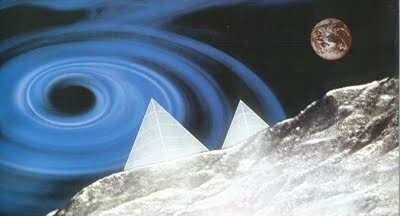 Robo warns he is about to lose the force field and advises Richard to immediately enter one of the pyramids. Richard seeks out an entrance, but Robo points one out at one of the pyramids' base. The robot releases a series of sounds and the door to the pyramid slides open. Richard wastes no time in guiding the cruiser through the tight opening. As soon as they are fully inside, Robo closes the door and removes the force field, indicating that it is safe to breath. Richard, however, is distracted by something else. The inside of the building is filled with thousands of strange and exotic plants, and from above a sun-like light source shined its rays down. Richard felt at ease inside the giant greenhouse-like structure. Robo, meanwhile, follows the Chosen One wearily, his energy supplies almost depleted. Richard then seems something new: a giant pagoda in the garden's center. He excitedly runs up to it to see what's inside it, pushing aside some of the hanging vines to peer into it. Surprisingly, the pagoda is solid. Without warning, Robo fires his heat ray on one of the closest vines on the pagoda. 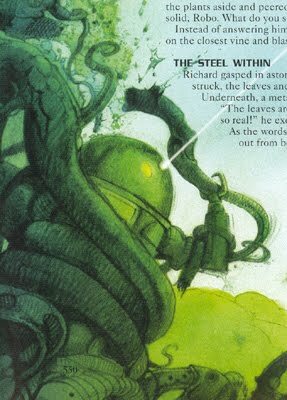 What really surprises Richard, though, is that he sees a metallic framework inside the plant, whose exterior smells of burning plastic. Suddenly, another vine whips from behind Robo and wraps around the robot, pinning its arms to its side. Robo fires several blasts of its heat ray, but to no avail as the vines begin pulling Robo up the side of the pagoda. Richard has no time to help his friend when he, too, is caught in the vines' grasp. Within moments both companions are being carried up the pagoda's sides, being passed from vine to vine. Richard, unable to do anything, asks Robo what was going on. 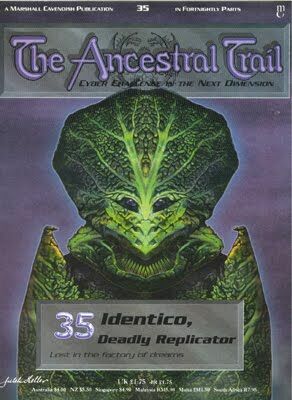 Robo replies that the vines are Replitypes, mechanical copies of organic beings created by a replicator called Identico. Eventually, the duo are released when they reach the top level of the pagoda. There, Richard notices a peculiar creature in the level's center. From its bulbous body exudes many tentacles and creepers, and attached to those creepers are hundreds of pod-shaped items. Richard calls out to the creature, asking if it is Identico. The replicator smiles and exclaims happily at receiving a genuine carbon-based organism. 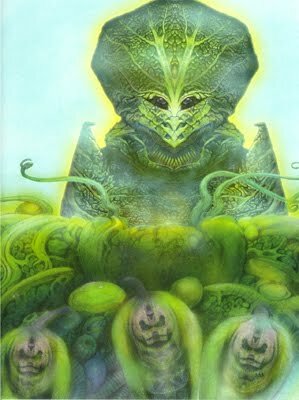 Richard is puzzled about Identico's enthusiasm, and the creatures explains that its prime directive is to replicate the dominant species on every known world and dimension, to create Replitypes whose function is to obey his every command. Identico complains that his Replitypes wear out too quickly without organic body for a pattern, and he gleefully notes that Richard would make an excellent source material. Richard isn't too keen on Identico using him to churn out thousands of clones of himself, each a mindless slave to the Evil One. A robotic vine near Richard lashes out and wraps around his leg. Richard tries to hack it off, but it bounces off the rubbery skin. In desperation he turns to Robo and notices a new message on his panel. Richard hastily decodes it and quickly realizes that Identico, even though a machine, still relies on the sun as a power source. He asks Robo to somehow blot out the sun, and Robo complies. The robot flies up into the air and aimed two small tail jets at the ground. With a burst of air from Robo's jets, the soil below is disturbed enough to generate thick dust clouds in the air. Identico tries to knock the robot down with his vines, but it's already too late. 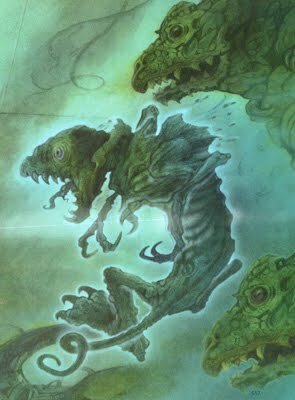 The dust clouds already begin to work as particles coat the monster's green skin and blot out the sunlight. As Identico's motors screech and groan, Richard feels the vine around his leg loosen. Within a few moments, Identico slumps over, motionless. But Richard realizes he isn't out of the woods yet, as the pods surrounding Identico begin to burst open and grotesque Replitypes emerge, eager to avenge the destruction of their master. Robo lands and advises that the Replitypes don't need sunlight to function, meaning they need to escape. Robo hastens to the edge of the pagoda, which draws the attention of the creatures. 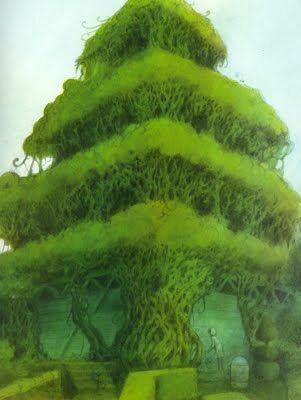 Richard follows Robo and clambers down the side of the pagoda along its now-dead vines; Robo fires his lasers at the swarm of Replitypes to cover Richard's escape. Once on the ground, Richard heads for the cruiser and looks for an exit, realizing that they have to leave the way they came in. The Replitype army is approaching quickly, and as Robo arrives Richard orders him to open the airlock again. Robo does so and the cruiser carefully flies out of the airlock. The door slides shut behind them, but a few Replitypes manage to squeeze through. Richard feels the familiar sensation of Robo's force field, and moments later the Replitypes arrive and leap at Richard, bouncing harmlessly off the protective bubble. Robo warns that they creatures could damage the cyber cruiser and advises them to leave immediately. Richard obliges and sends the cruiser into a burst of speed away from the pyramids. Soon, the small planet beneath them disappeared, leaving the cruiser suspended in blackness. Richard asks Robo what their next move is. Robo advises that the wormhole is now closed and scans for an additional exit. He finds one up ahead and advises Richard to push the cruiser to maximum speed. Richard can't see the exit but follows his companion's orders. Suddenly, he feels the cruiser strike something invisible. A bright red clouds his vision and the cruiser spins out of control. The dark skies around them give way to a more normal atmosphere. Robo proclaims that they have successfully escaped by piercing the dimensional walls of Identico's dimension with the cruiser. Behind them, Richard sees the whole world that they had left collapse like a deflated balloon. With the atmosphere back to normal, Robo lowers the force field. Up ahead, Richard can see something strange approach them. He notices that the collection of objects look like numbers. The thirty-fifth issue of The Ancestral Trail, while not breaking much ground, offers one of the more interesting sub-worlds that Richard has encountered so far in the second series. In previous issues, Richard navigates the terrain as if it were regular terrain, from one sub-world to the next on the cyber cruiser. But after being sucked through the worm hole, he ends up in a true sub-world, a whole self-contained dimension inside what looks like a giant balloon. This is the kind of minor details that make stories like this enjoyable, and while Richard's fight with Identico may not have been the most interesting, his location certainly was. This issue also highlights something a bit more minor: the issue titles. 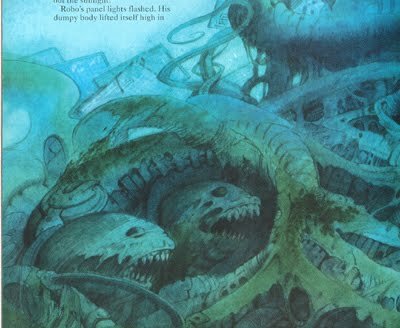 If you go back and read through all of the first half's titles, you'll notice that the monster names are described only by title-esque descriptions. For example: Narkum, the Fly King; Klaw, Servant of Evil; Spector, Keeper of the Ice Kingdom, etc. 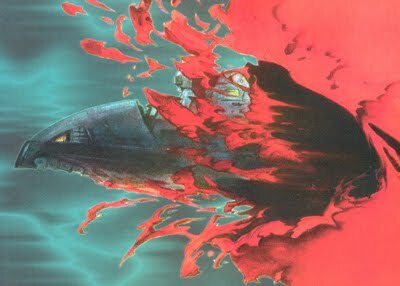 The second half of the series also started out this way (see: Tengam, Gravity Defier; Zenon, Laser Lancer) but now it's getting into using adjectives to describe the monsters. You may recall that Holotron was called a Dynamic Deceiver instead of just a deceiver. Now we have Identico, who is a Deadly Replicator. While this trend won't be that prevalent, a few more monsters will have adjectives attached to their names when their issue is introduced.